Complete with an extending counterweight our latest KRC 250 reduces axle loads, allowing a greater scope of lifting operations to be undertaken. Whilst extending counterweight technology isn’t new, it has up to now been the preserve of the larger KRC 810 and KRC 1200 cranes in UK operation. 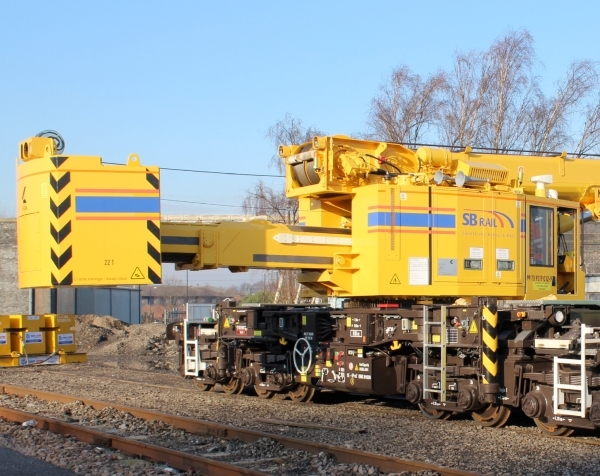 Having this technology available on the KRC 250 for the first time enables a greater range of lifting operations to be carried out with this smaller and more nimble rail mounted crane. The extending counterweight distributes load over the wheel-sets more evenly, bringing more lifting scenarios within acceptable working limits.